of the continent's largest selections of beer. Most people remember their first lay; Beerhouse’s Operations Manager Murray Slater remembers his first Coopers Original Pale Ale. And while he’s not one to kiss and tell, the beer whisperer did give us the skinny on the Cape Town bar that’s base to one of the largest assortments of brews in all of Africa. With a minimum of 99 bottled beers from 13 different countries and 26 taps poised to fill everything from pints and 100-mL tasters to frothy 1-L mugs, Long Street’s Beerhouse is committed to being the taste room for the burgeoning craft beer industry and has long been supporting local micro-breweries and giving them a podium on which to shine since its inception in 2013. 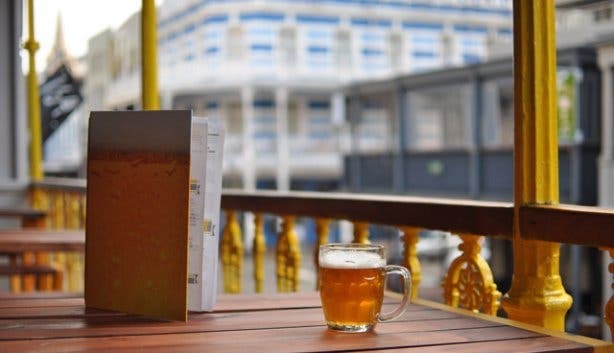 The yellow house of beer, as it is known, has curated a large library of beer – proving that they are the instigators, propagators and curators of the ‘Beer Revolution’ and are inspired to help folk navigate through beer land. 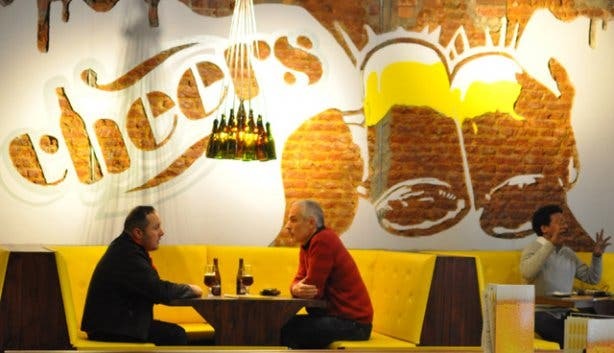 One of the funky, contemporary beer hall’s key concepts is beer enlightenment. 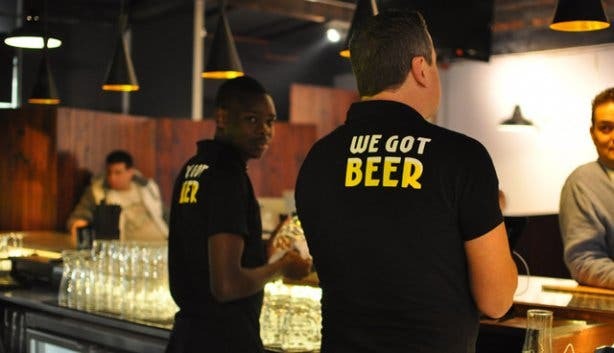 And so, along with its commitment to exposing people to quality and introducing them to variety, the bright yellow watering hole is going out of its way to make sure South Africans thirsty for beer knowledge come away with a little education alongside a lot of buzz. That means that not only can the staff recognise a beer fault (e.g. poor carbonation) like Chuck Norris can smell fear, but every team member can tell curious connoisseurs-in-the-making about where a beer comes from and how it’s made. They are also at the forefront of beer and food pairing; the bar boasts a food menu that matches each dish with a specific style of beer. Moreover, the diverse food menu also contains pairings that have been well received at popular event Meet the Brewers, some of which include the mouth-watering layered shortcrust pie of pulled pork, curried channa and mango chow which is paired with a local IPA. 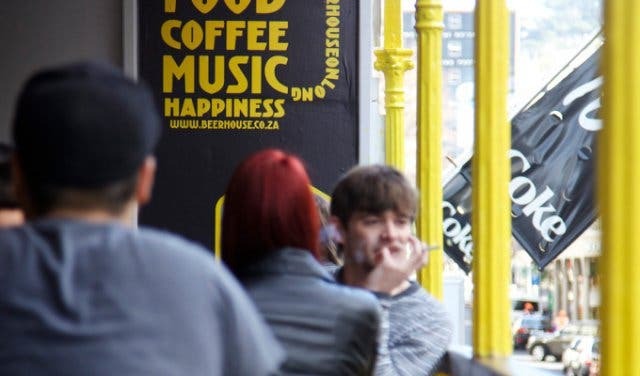 At the end of the day, the Mother City hotspot is all-inclusive (there’s even Black Label on draught) and all about giving locals and those from farther afield a vibey place to kick back, socialise with mates and, much in the same way Murray’s done, create a few malty memories. 1. Find your brew. Discovering the beer that makes your leg kick faster than a dog getting the ultimate scratch treatment is a big part of the fun at Beerhouse. And thanks to the bar’s incredible menu selection and its promise to keep bringing in new tipples, you can rest assured that your noble quest will be a daunting but enjoyable journey. 2. Watch the sport. Love and marriage, horse and carriage, whatever. 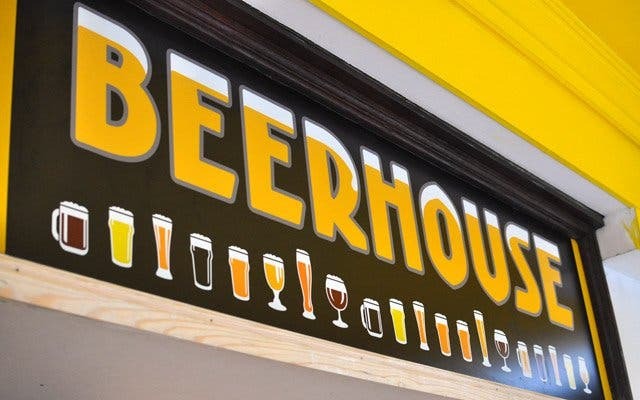 Beer and sport are the real two peas in a pod, and with flat-screen televisions set up ‘round the bar and a massive projector screen perfect for showing big matches, Beerhouse is a great place to settle in for any athletic battle. 3. Bring non-beery mates into the fold. There are plenty of options for those yet to be indoctrinated by the Beer Spring, from non-alcoholic ales and wine to ciders, spirits and coffee. Though, luring the grog-defiant to Beerhouse and tempting them with a beer they’ve never tried before, like a sour cherry Kriek or a real German Hefeweizen, is a perfect way to prove there’s more to life than just brandy and coke. 4. Nosh on real beer food. As is the case with everything from the bar’s design to the staff training, Beerhouse’s food menu came together with plenty of thought. Expect both stomach liners and options likely to challenge your taste buds. 5. Because it’s beer o’clock. All day, every day. Just order the Beer O’Clock Tasting Experience and you’ll receive 12 100-mL tasters placed around a board like numbers on a watch face. The sampling session comes at a bargain price to boot. Just make sure you don’t have to be on time for anything afterwards. 6. Free Beer Friday. 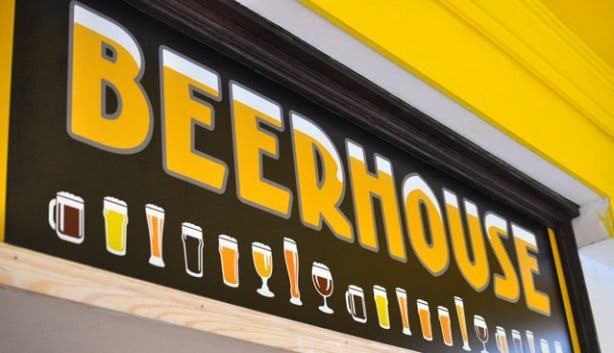 That’s right; the end of the week at Beerhouse means those who are keen to score complimentary booze can check out their social media pages every Friday afternoon to see what passphrase they have to utter to a Beerhouse staff member to get the free booze. (Psst. Some things people have had to do range from doing the Macarena to singing to The Weeknd’s “Can’t Feel My Face”). 7. Beer School. Beerhouse is so passionate about craft beer that it hosts FREE informational sessions for anyone who is interested in the world of beer. Each ‘class’ features beer experts and connoisseurs who share tips on how to taste beer, what to look out for in different kinds of brews and lots more, meaning that by the time you’re done, you’ll be a certified wiz at identifying great beer! 8. Cheers with beers of the highest quality. 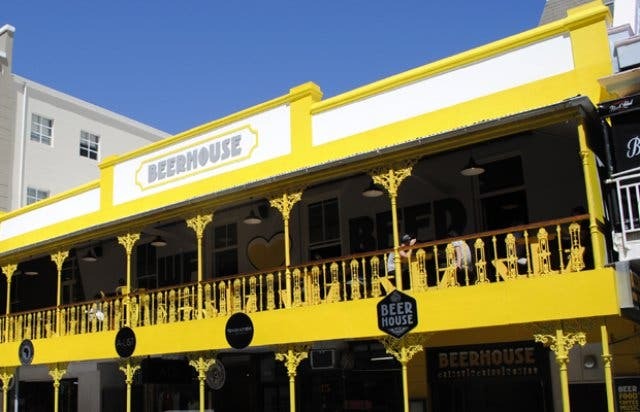 Beerhouse’s cold room is big enough to fit an elephant (a medium-sized one, not a bull), which means all the brew is kept at optimum temperature all the time. Not to mention, because the taps are located so close to the casks, you’re guaranteed the beer is fresh and crisp, not flavoured with plastic-y PVC from long-distance travels through pipes. 9. Beerrunch. This is what you get when you combine good ‘ol beer and brunch on weekends at Beerhouse. That is, patrons are able to select greasy grub to make their weekends complete. 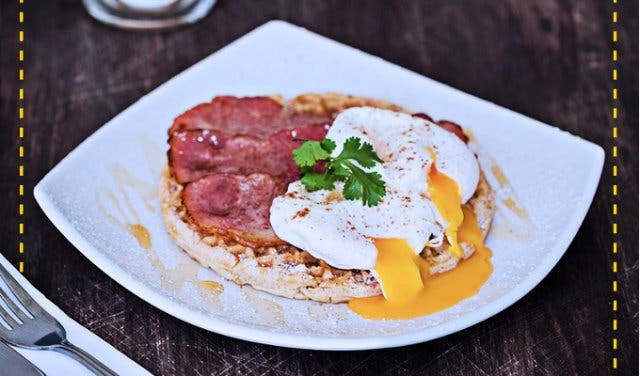 Some items on this special menu (which is only available on weekends) include classic Eggs Benedict (with creative alternatives), Cinnamon Waffles, Weisswurst (a German pretzel with sweet mustard) and more – yum. 10. 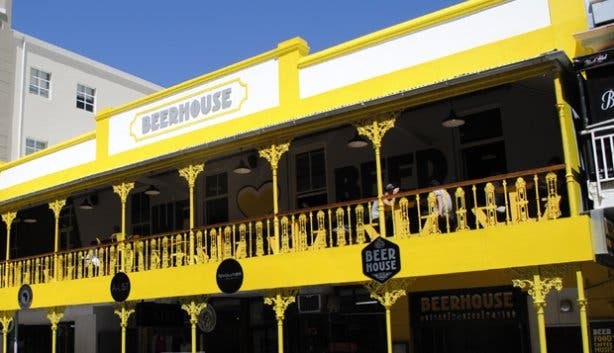 Beery Awesome Lunchtime Specials: Every day of the workweek Beerhouse offers a different hearty mid-day meal option for just R50 (for menu details follow @Beerhouse on Twitter). But that’s not the best part. 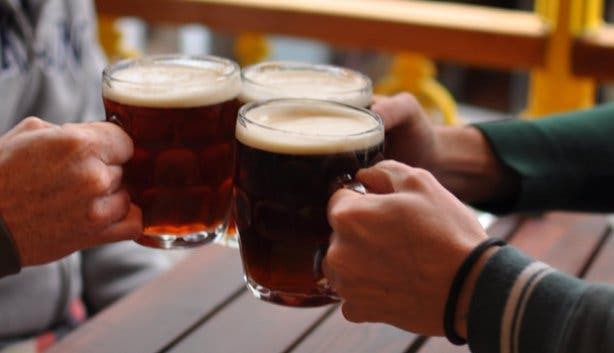 The better news is that the alehouse throws in a 350-mL draught beer or soft drink as part of the deal. Oh, and did we mention that if you buy five you get the sixth lunch meal free? BONUS: Food & Beer Pairing Events. 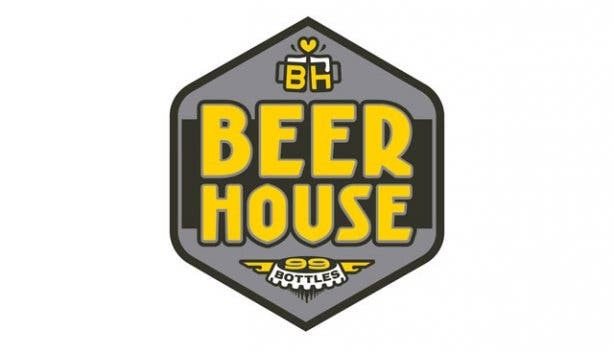 Beerhouse hosts a number of events, ’Meet the Brewer’ being one of them. 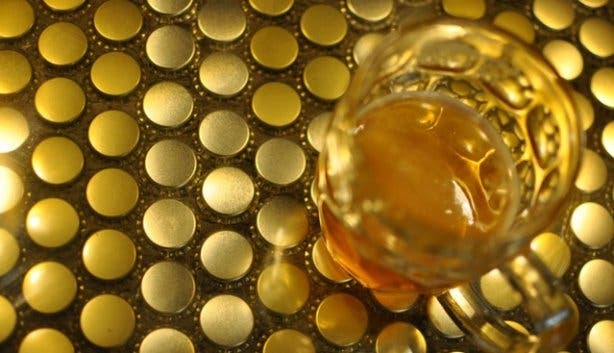 Taking place every two months, this unique event allows those interested in beer to hear from a reputable brewer. 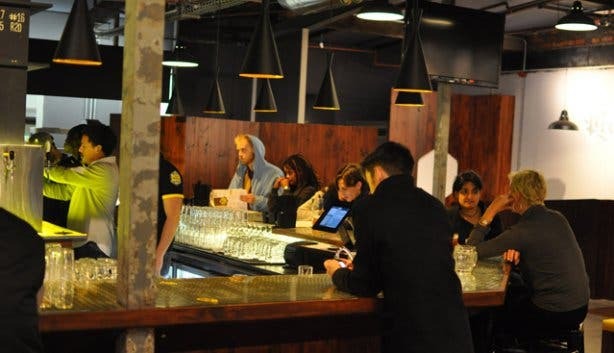 The brewer talks about the brewing process, and participants are able to then pair a speciality beer with Beerhouse food – all to be enjoyed in a relaxed, fun and informal setting. The Bill: As perfect for those on a shoestring as it is for the big spenders. 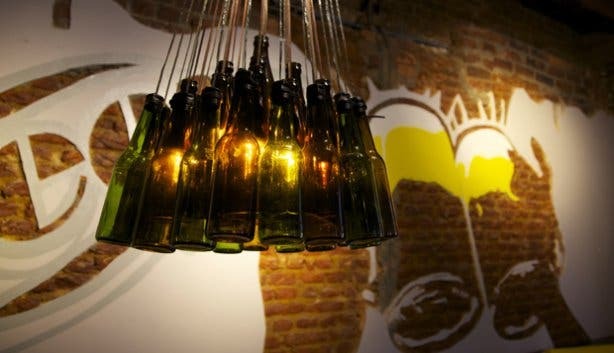 Bottled beers range from R20 to R100 (think the 750-mL Delirium Tremens), 500-mL pints go for between R35 and R45, 1-L pours run from R70 to R90 and 100-mL tasters average around R11. Looking for an outdoor, live rocking music festival? See 8 incredible local bands and The Cure at Rock On The Lawns. Drink specials, a live band and a few other surprises are in store this St. Patrick's Day at Beerhouse on Long. Also, see our top picks for things to do this St Patrick's Day in Cape Town. A fervent fan of locally made artisan brews? 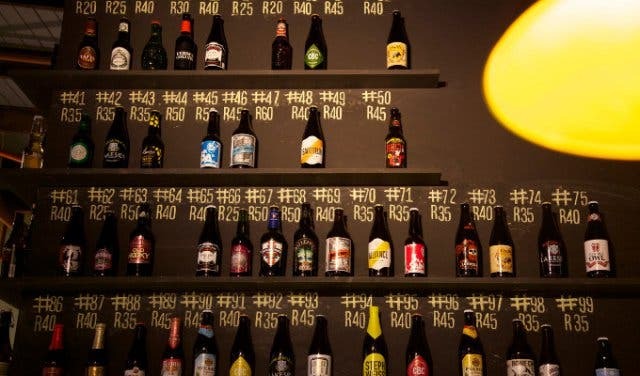 Take a look at our overview of breweries conjuring up craft beers in Cape Town. 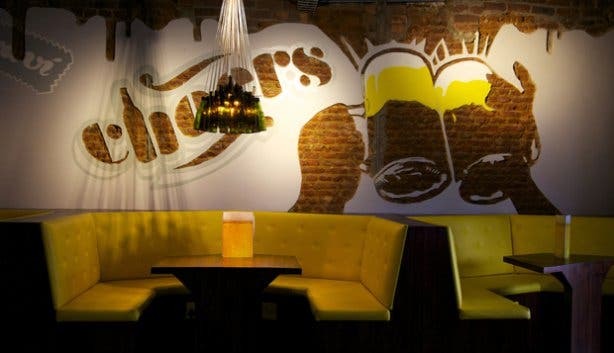 Here's a round-up on Beerhouse's weekly Quiz Night as well as the bar's Beerrunch Weekend Brunch offering.